Families crouch around piles of small stones in the dusty hills of Adonkia, outside the West African city of Freetown. Each pile has been broken down from boulders lodged in the hills, which laborers extracted and cracked using fire and cold water. Now, parents and children employ hammers and any small tool they can fashion to smash the rocks into several smallish, semi-standardized sizes. Trucks will take the stones to the city for use in construction. This is how families in Adonkia make their living, which is meager even by local standards. Many kids have scars where stone fragments have leaped and bit them. Sierra Leone is one of the poorest countries on earth. I lived here as a child from 1988-1991, when my father served as Deputy Chief of Mission at the U.S. Embassy. In 2008 I came back to launch a public sector development project. I met a man named Foday Mansaray who had started a small school. Education in Sierra Leone is ostensibly free. But in practice, and due to the many challenges of maintaining public institutions in Sierra Leone, many schools cannot function, cannot pay teachers, without charging students to keep the school running. 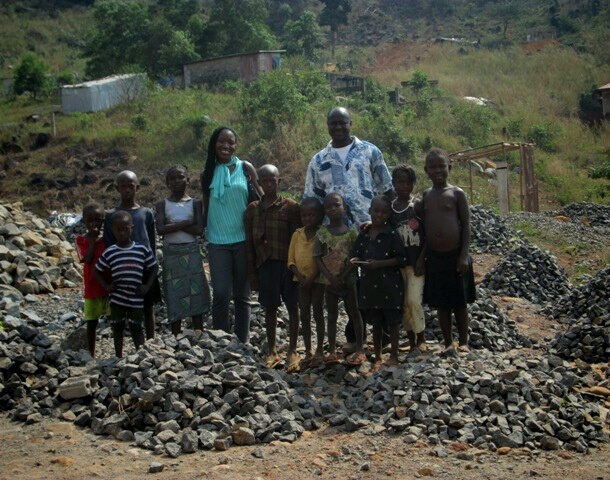 The stone mining families of Adonkia cannot pay these user fees. And so many of their children do not attend school, and instead work the stones. 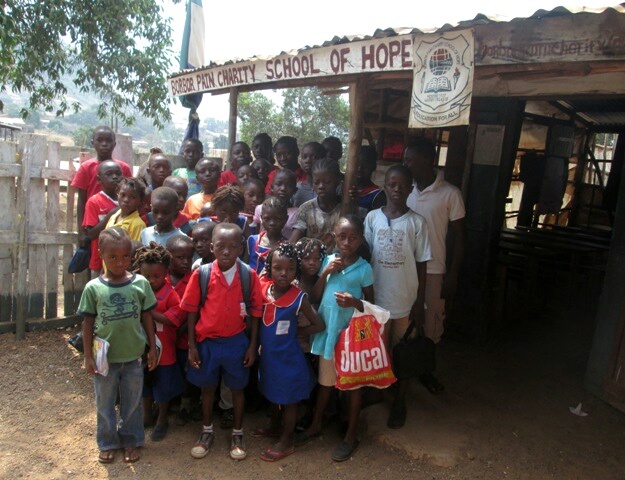 Foday founded a primary school to provide free education to the kids of this community. Foday calls it the Borbor Pain Charity School of Hope. We are helping him build it. Since I met Foday enrollment has grown from about fifty students to six-hundred and fifty. We built a second schoolhouse and basic facilities. They are not much by the standards of wealthier countries; basic structures of cheap wood, cement and tin, with proudly painted signs. They are schoolhouses nonetheless. Students attend in morning and afternoon shifts. 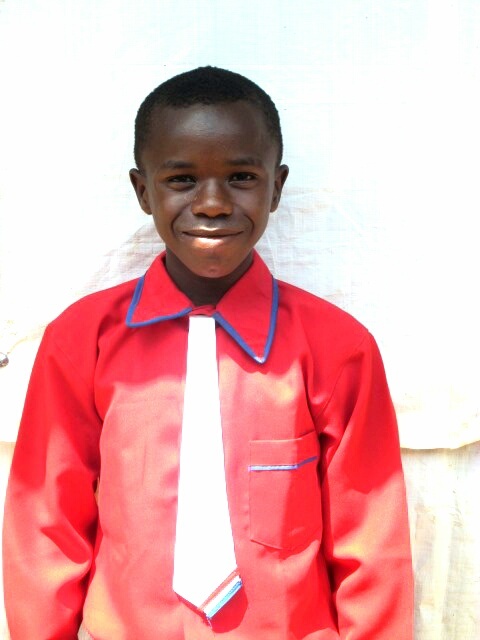 Foday and his teachers host sporting competitions and holiday celebrations with meals. Impressively, even through the ebola crisis Foday has kept up many students’ educations via home visits that follow health protocols. Students like Alie have taken their exams, graduated with scores that rank well nationally, and moved on to secondary school. Now, with the worst of ebola past, Borbor Pain will reopen its doors next month. We invite you to talk with us about how you can help, and how we can work together to secure the school’s future. And we can work toward broader goals. For example, through an organization we founded in partnership with Sierra Leone’s cabinet, International Professional Partnerships for Sierra Leone, we could work to ameliorate the problem of user fees in Sierra Leone’s education system. Five years ago I was out buying my first professional briefcase; a leather over-the-shoulder bag. It was new and beautiful; neither cheap nor extravagant. Around the same time we were putting a roof on Borbor Pain’s second schoolhouse. I was embarrassed to learn that the briefcase and the roof cost the same. But I also felt encouraged. 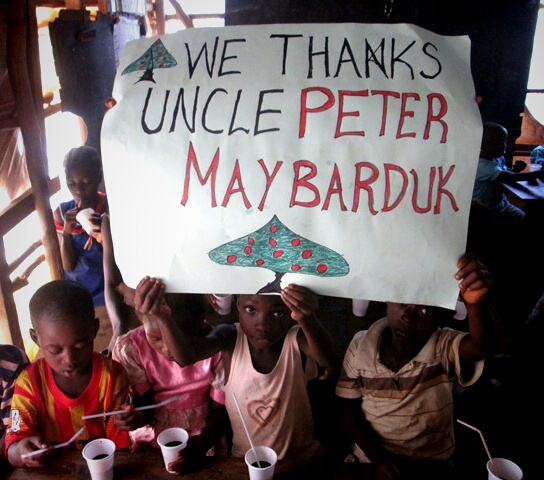 Money goes far in Sierra Leone; farther than you can imagine. When we contribute, even modestly, it makes a difference to the students of Borbor Pain. Your contribution can pay a teacher’s salary another month. It can buy books, meals, desks, transportation for the students. It could help build a new schoolhouse, reducing classroom size or helping more students attend. It will keep kids in school and out of the mines. And we are interested to discuss other ways to collaborate, with whatever skills you might have. 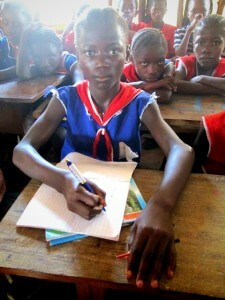 Perhaps you can help us organize support, or develop a modern pen pal program for the students. Borbor Pain is an opportunity for each of us – not only to give, but to learn. 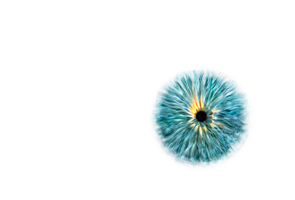 This entry was posted in Projects, Writings by Peter Maybarduk. Bookmark the permalink.